Studies have shown that indoor air pollution can be much higher than outdoor air pollution. Does that come as a surprise? Well, consider... your central ductwork continues to circulate the same air throughout your home day after day, and many homeowners spend most of their days indoors. As such without proper air cleaning dust, allergens, and other contaminants can build up over time. Our support team is always ready to help you make an informed decision on what option is the best fit for your needs and budget to address this issue. Read on for some of the benefits of a whole-home air cleaner system from either American Standard or Aprilaire. A whole-home air purifier removes particles and irritants throughout your home. That includes mold spores, pet dander, dust mites, bacteria, pollen and even viruses. By removing these harmful contaminants, you'll help reduce the risk of asthma attacks and allergic reactions. 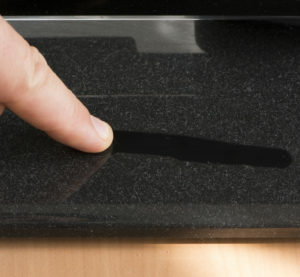 You'll notice less build up, making your home look and feel cleaner, while protecting appliances and electronics. With an installed air cleaning unit working in tandem with your HVAC system, you can make every corner of every room feel more comfortable and more healthy. You'll also keep your air conditioner's cooling coil clean and your furnace working efficiently, saving energy, minimizing repair costs and extending service life. 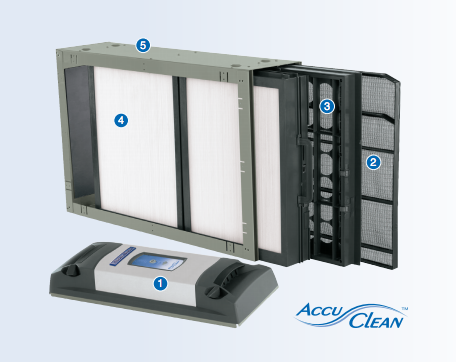 Our most popular whole-home air cleaning system, the American Standard AccuClean system stands up to any competition. Here we've compiled a few of the most common comparison questions. Whats the life cycle cost compare to other air filtration systems? 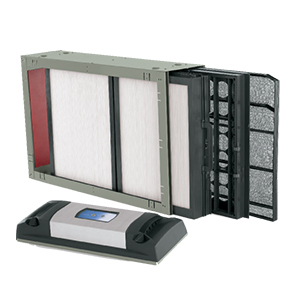 Unlike other air cleaning systems that require numerous filters to be replaced often, AccuClean has a permanent filter that costs up to $200 and never needs to be replaced. The system also is very efficient and only adds about $6 per year to a homeowner's energy cost. Is American Standard AccuCleantm noisier than other air filtration systems? No. The AccuClean Air Cleaner System doesnt produce the zapping noises common to electronic air cleaners. In fact, AccuClean is virtually silent. What kind of maintenance does the AccuClean system require compared to others? The cleanable filters need to be vacuumed once every 6-9 months, or more often as needed. As with any system it is recommended to schedule seasonal visits from a trained technician. Cleaner air starts with better airflow. Traditional filters force air through dense mesh screens to trap particles and over time they become clogged and reduce airflow, resulting in a loss of efficiency. AccuClean can remove up to an unprecedented 99.98% of allergens from the filtered air in your home. The revolutionary technology traps allergens down to .1 micron in size. Particles like dust, soot, mold spores and bacteria are often .3 microns. Say goodbye to irritating particles like dust, pollen, pet hair and dander, dust mites, mildew, lint, fungus, bacteria and more. What makes the media filter used in the AccuCleantm system so much better than alternatives? Providing easy access to internal components, featuring a filter-status display. When the door is opened for maintenance or cleaning power to the unit is automatically shut off. Traps large airborne particulates so the reusable collection cells can operate for a longer period of time before cleaning is necessary. Easy removal makes vacuuming every 1-2 months simple. 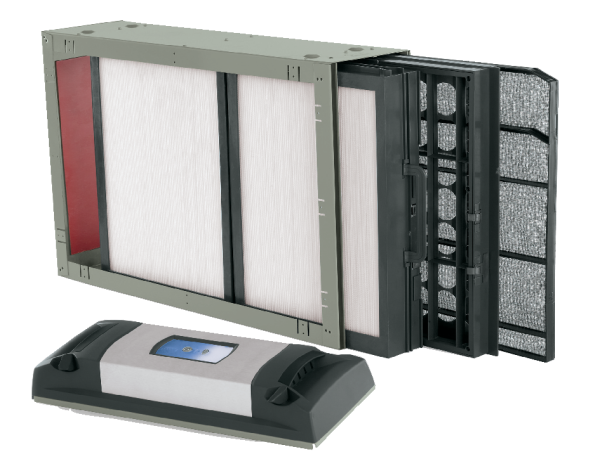 Removes up to 99.98% of allergens by charging airborne contaminates so they are attracted to the collection cell. Finely engineered and crafted to trap particles down to .1 micron in size. These cells can be vacuumed every 6 - 9 months, or more if needed. Constructed of heavy-duty 18-gauge metal to protect the filter and internal electronics, this cabinet is stylish and utilitarian.